I manage a $40 million Australian equity fund. It was great in the financial year ended June 30, 2018. The market was up 12 per cent and the fund was up 23 per cent. In the funds management game, that would have put us in the top 25 long-only funds in Australia. We began to think that we had a process that would work in perpetuity. (However) It didn’t last long. Suddenly, in October last year, the market tipped over and two months later we ended up at the other end of the performance league table. This is the story of why we outperformed, why we underperformed and what we are buying now that the market has turned. The biggest theme right up until October last year was believing in a bull market. This was and always is the most important call because it changes everything. 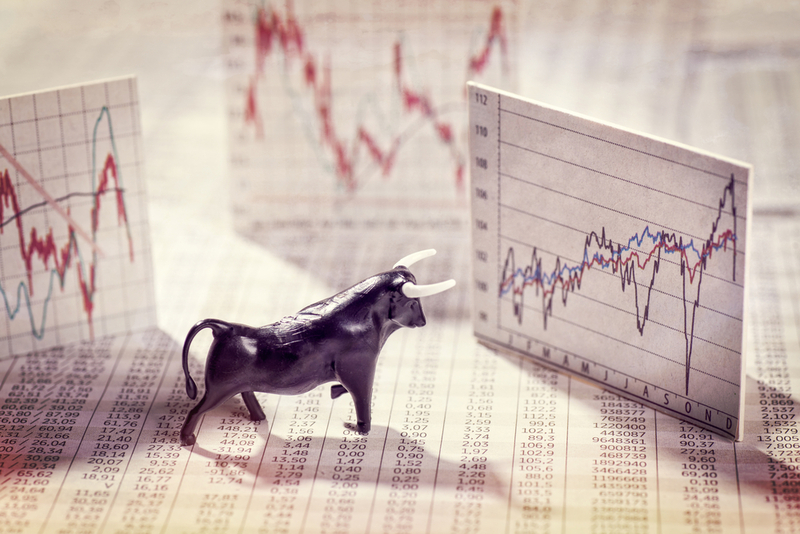 Last year, there were a lot of reasons to sell — from interest rates, to Trump, to trade and the predictable commentary when any market or share price goes up a lot, that it must come down. (However) It doesn’t have to. You have to ride the waves. If you are scared by a share price rise you have got it all wrong. You need to fear market falls, not the market rises, and last year, before October, the game was to ignore all the finger-wagging, attention-grabbing calls telling you it was all going to end in tears. Even if they are one day right, which they are bound to be eventually, you have to ride the waves until they break, not cut out because they might. We ran with the bulls. So what Australian stocks do you buy when it’s a bull market? Stock selection looks after itself. Growth stocks rule when the market is going up. Easy profit allows us all to turn a blind eye to a high price/earnings ratio or a lack of earnings. We believe in tomorrow when the market is going up and, on that basis, growth stocks are in the cross-hairs. When the tide was running we held large growth stocks like Cochlear, CSL, Treasury Wine Estates, Aristocrat Leisure, Macquarie, Computershare and the ASX. We iced that cake with holdings in smaller stocks like Afterpay, which grew so fast that at one point we had 8 per cent of the fund in that one stock. As they say in the stock market, you only need one good idea a year and it’s a good year. We had 15. We made money out of Praemium, HUB24, Xero, NextDC, Bingo, BidEnergy, ARB and a string of others. In this bull market you had to avoid the banks, which fell when the market was rising, and you simply had to avoid Telstra and AMP. We didn’t hold either thank goodness. Our mistake was letting long-term faith take precedence over the short-term trend. We didn’t hold them because we pay attention to share price trends. Fundamental analysis has its limits. At times, the technical trend, the sentiment, is far more important. If you had invested simply on the fundamentals, both AMP, Telstra and the banks were cheap all the way down. Our outperformance continued after June until October. They say the market falls three times faster than it rises and in the three months to Christmas Eve we were pummelled. Our mistake was letting long-term faith take precedence over the short-term trend. We cleared out the small stuff but held the big. We were not rewarded. The growth stocks that are given the benefit of the doubt in a rally are not in a correction. As the market fell 15 per cent, some of those big, quality growth stocks fell more than 30 per cent. The story had not changed, the quality of their earnings had not changed, the market simply went "risk off". Now the market is rallying again and we are coming out of the trenches. So, what stocks do you buy for the rally? Well, the strategy does not change. When the market is going up the growth stocks come back — in spades. Which stocks do you buy now? The same ones. The stock market is not rocket science, it’s about finding your list. I’ve already given you my list, we’re back in, fully invested again until the wave breaks. (However) When it does, take a lesson from us. Respect the trend. You can have long-term faith in your favourite stocks but it doesn’t mean you have to hold them through thick and thin.